The health of lorry drivers is increasingly at risk because of inadequate truck stop facilities, Unite has warned. The union called on government and local authorities to “stop passing the buck” and improve welfare facilities for lorry drivers, amid concerns that conditions may have significantly worsened in recent years. The lack of adequate truck stops mean that lorry drivers are forced to park in industrial estates, lay-bys and even in residential roads, where they have no welfare facilities, which damages their health and results in wider environmental implications. The department for transport (Dft) last published the findings of a survey on the lack of truck stops in 2011. It found that in a given period there were 5,676 lorries – around 40 percent of the total parked – in non-truck stop locations, with the highest levels of off-site parking occurring in the south east, eastern England and the east midlands. The DfT is understood to have undertaken a further survey of off-site lorry parking earlier this year but the results of that survey have not been published. Unite is concerned that they have been suppressed because the problem is spreading. The lack of lorry parks with decent welfare facilities is a result of a failure in the free market, Jones explained. While the DfT establishes the overall policies, responsibility for providing the parks is that of local authorities – who are unwilling to invest in facilities because they are not hugely profitable. “The government and councils can’t pass the buck when it comes to truck stops. The lack of facilities has massive health and wellbeing consequences for drivers,” Jones said. 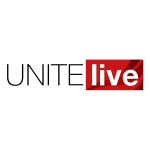 Unite believes in order to meet the needs of lorry drivers, a truck stop should include: 24 hour access, adequate parking and manoeuvring space, a cafeteria with reasonably priced hot meals, washing and toilet facilities including showers, a fuelling facility, an overnight sleeping facility, maintenance facilities and a launderette.